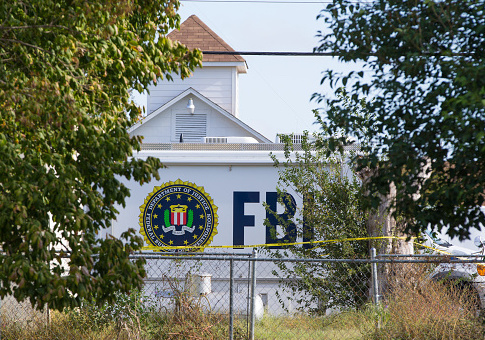 The Air Force announced on Monday that it did not share records on the Texas church shooter's 2012 domestic-violence-related court-martial with the FBI's firearms background-check system, allowing him to pass numerous background checks over several years to obtain at least four firearms. "Initial information indicates that Kelley's domestic violence offense was not entered into the National Criminal Information Center database by the Holloman Air Force Base Office of Special Investigations," Ann Stefanek, an Air Force spokesperson, told the Washington Free Beacon. The shooter, 26-year-old Devin P. Kelley, was court-martialed in 2012 for what Stefanek told the Washington Free Beacon was "assault on his spouse and assault on their child." He was sentenced to 12 months in military prison for the assault and received a demotion to the Air Force's lowest rank. His assault resulted in serious injuries to the child in question. "He assaulted his stepson severely enough that he fractured his skull, and he also assaulted his wife," Don Christensen, a retired colonel who was the chief prosecutor for the Air Force, told The New York Times. "He pled to intentionally doing it." The Air Force confirmed that Kelley's court-martial made him ineligible to purchase or possess any firearms. "Federal law prohibited him from buying or possessing firearms after this conviction," Stefanek said. However, because the Air Force failed to notify the FBI of Kelley's court-martial, he was able to purchase firearms from licensed gun dealers and pass the required background checks. The ATF said on Monday he had successfully purchased the firearms used in the shooting that left at least 26 dead and dozens more injured from licensed gun dealers in Texas and Colorado between 2014 and 2016. The Air Force said it has directed its inspector general to begin a review of why Kelley's court-martial records weren't shared with the FBI and if any other court-martial records have been incorrectly withheld from the system. "Air Force Secretary Heather Wilson and Air Force Chief of Staff Gen. David Goldfein directed a complete review of the Kelley case by the Air Force Office of the Inspector General," Stefanek said. "The Service will also conduct a comprehensive review of Air Force databases to ensure records in other cases have been reported correctly. The Air Force has also requested that the Department of Defense Inspector General review records and procedures across the Department of Defense." This entry was posted in Issues and tagged Air Force, Gun Control, Guns, Texas. Bookmark the permalink.